This is going to be a long post, but I would love your feedback on it. My name is Hicham and I'm the owner of print-on-demand company called Subliminator. So we have an app that integrates with the ecommerce platform Shopify. 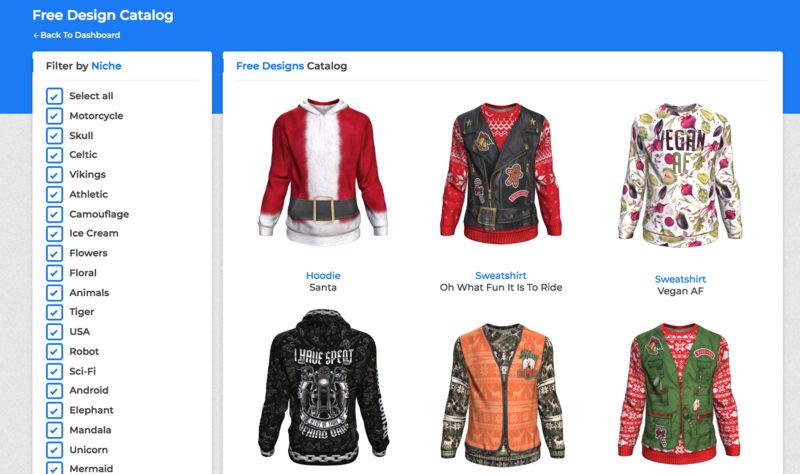 Sellers can use our app to create and sell all-over printed products such as hoodies, leggings and blankets. So with every order they get we automatically manufacture and ship the product directly to their customers. We're looking to expand this service by offering paid designs in this catalog. And this is where your help is needed in both advise and a possible option to have you added as one of the designers. The designs are applied on one of our products, so it has to follow our design templates, so we can present product mockups to the sellers and not flat design images. Your designs are sold for a flat fee of $5 where the shop owner only get's the ability to publish the product and sell the product. They do NOT get any rights to the design nor any design files. So you get paid when a product is published by a shopowner. Your designs are FREE to publish, but you get $1 royalty of each sale that is made with your design. (Keep in mind that good designs easily can be sold a couple of thousand times in the print-on-demand industry). Again they do NOT get any rights to the design nor any design files. This 3rd option can be linked to option #1 and #2. This is when you publish a new design in the catalog, that it becomes available for 48 hours to be sold at a fixed price. So 1 shop owner has the ability to exclusively buy that design from you to the price of your liking, on which you transfer the rights of it upon payment. Let me know what you guys think. And if you have other suggestions of how this could work even better then I'm open to talk about that as well. A very interesting offer for designers here. In our opinion, maybe you can consider two systems between the company and the designer. 2. Percentage system, a designer gets a percentage (30-40% for example) of every product sold with designer designs here. I am very open with your suggestions. Personally I think the ability to sell a design multiple times for a fixed amount, let's say $15, without transferring the design files is a really good option.